When we really love something, we talk about it. This is true when find a great new restaurant, enjoy a sports team, or when we stumble onto a fantastic new product. We want to share the joy and tell others. We naturally "evangelize" and invite others to experience what we have found. Organic Outreach is about living the kind of life that draws people to Jesus. 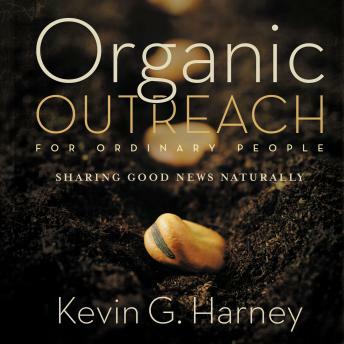 With three decades of outreach leadership, Kevin Harney provides insights and tools that will enable you to reach out to others and reveal the good news of a loving God in a way that fits your unique personality and calling. Learn how to set fear aside and experience the fruitfulness of sharing God's love through authentic, organic outreach!